The rising popularity of the vintage effect in modern contemporary jewelry is not a surprise. Tons of antique cut diamonds are available in the diamond store in Chicago and among them rose cut diamonds have been framed in a bit special way. A fine touch of these antique diamonds offers a distinctive visual experience of how the hand-cut facets play with light. The extreme warmth and sparkle allow the potential buyers to select these diamond pieces while searching for their custom-made diamonds. 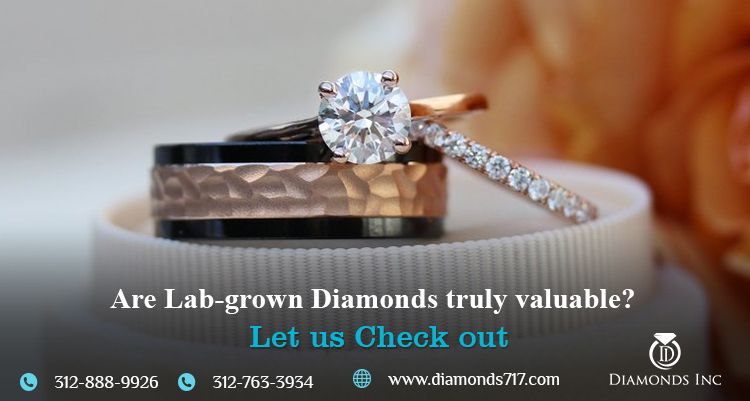 Are you interested in rose cut diamonds? Here we have a detailed analysis of this. Rose Cut Diamonds are notified for their flat back and domed top enveloped in triangular facets. These number of facets vary from as few as 3 to as many as 24. That’s really a huge number, right? Whatever it may be, the diamond terminates at the very top in a single apex. This is where the term “rose” come into existence. The facets of these gemstones appear like the petals unfolding in a rose bud. Thus the name “rose cut diamonds”. The flat back of these gem pieces possesses two spectacular effects. First, the stone without any facets on the underside of the gem, it creates a transparent look. They overall bring a calm and heavenly look that can be parallelly compared to the disco-ball. Second, rose cut diamonds are not loaded with impurities. But these diamonds carry all their weight on the top section, thus making the diamond piece appear larger in size, especially when viewed from above. If you are looking for large custom-made diamonds, then these rose cut diamond pieces will be the best. These stones when customized for a diamond ring, the ring appears large in size. And in some stores, they are even charged huge, unlike other diamonds. Hey, guys. Rose cut diamonds will definitely surprise you with its alluring beauty and magnified look. In fact, if you want you can even get them in different shapes other than round cuts. 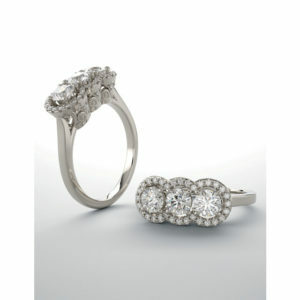 For example, oval-shaped diamonds, pear-shaped diamonds, marquise cut diamonds and other customized shapes you want. As said earlier, rose cut diamonds have not just spurred out in recent years. They were fascinating the individuals since the 1500s. During the Georgian and Victorian eras, these antique diamond cuts were most common. Once they were mined, they were cut by hand and meant to sparkle under candlelight. The cut of a diamond contributes a lot to the shape of a diamond. Diamond cutters retain as much as the original diamond carat weight as possible. Have you ever witness these antique diamonds? If not, just try one out. Here you will observe that the perimeter follows the shape of the diamond instead of being perfectly round. Further, the shallow height of the rose cut diamond is not deep enough like other shapes. These diamonds with large and wide facets performed exquisitely in low light conditions. However, they never fail to show their magic in daylight as well. However, in comparison to the earlier cuts, modern cuts offer brilliant shapes that will fetch a higher price tag than before. 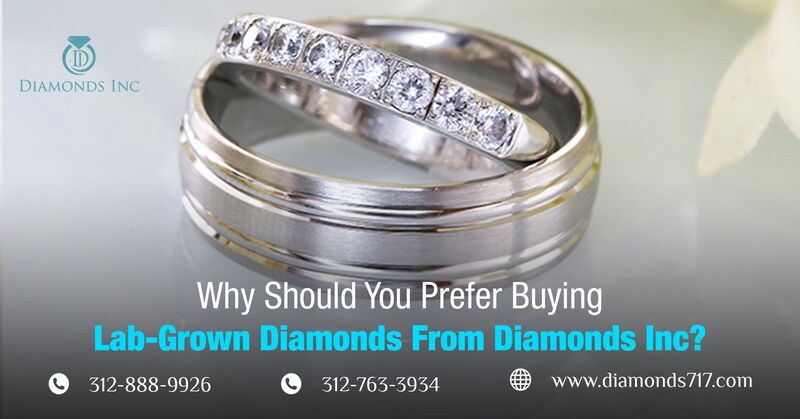 Be it a whitest colored rough diamonds of Chicago, they are turned into the most impressive pieces. 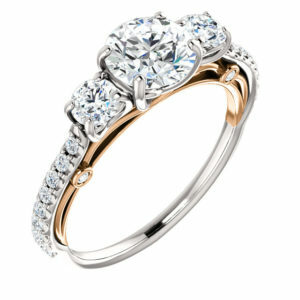 The icy sparkle and the cutting style add a warm and fascinating look to the diamond. Now coming to the clarity, rose cut diamonds are famous for its transparent look. This is mainly because of the few facets that conceal the internal flaws, small inclusions, and feathers residing within the crystal. 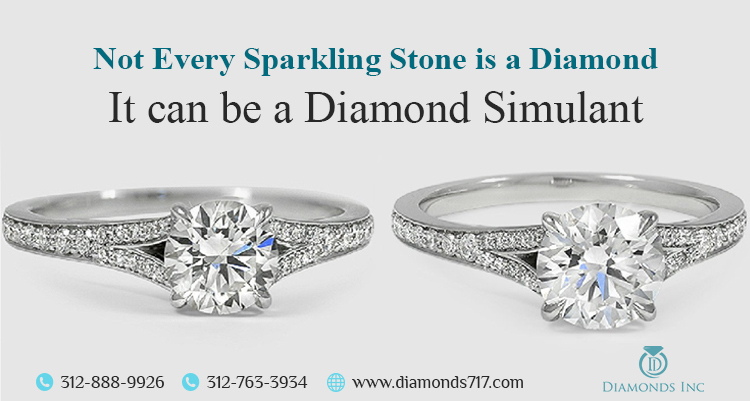 Are you looking for a custom-made diamond that is rich with perfection? Then opting for this diamond will always be the right decision. It is always better to have a diamond with pleasing clarity rather than a diamond that has a higher color grade. This will possess a more noticeable impact on its beauty. With the popularity of transparent rose, colored diamond followed the set. Today rose cuts can be obtained even in black, champagne shade. But don’t confuse these antique colored diamonds with the raw diamonds, since they have been cut and polished. 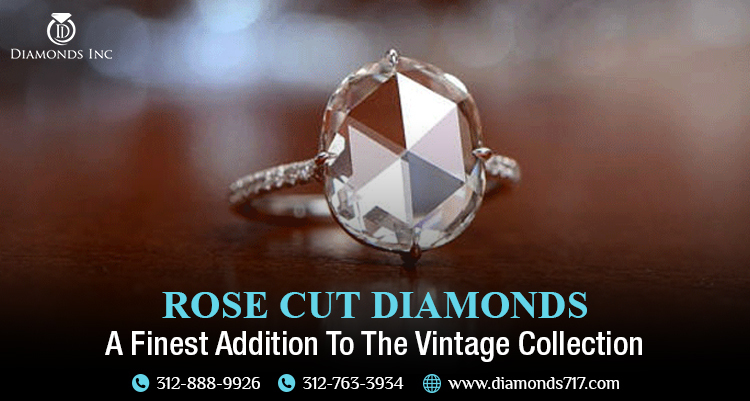 The rose cut diamonds of Chicago are also available in various other gemstones. For example, in rubies and sapphires, tourmaline and moonstone, and in other semiprecious gems. These work best for those who are bothered enough for their budget. 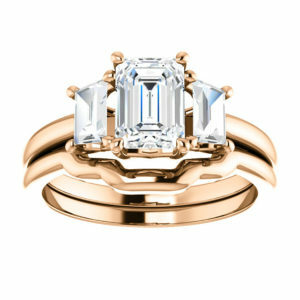 Not just transparent, you can opt for your rose cut diamond ring in multiple other shades as well. From lighter colored gems to the more included gems, all look alluring when customized perfectly. Similar to diamonds, these gemstones have gained the limelight in recent days.